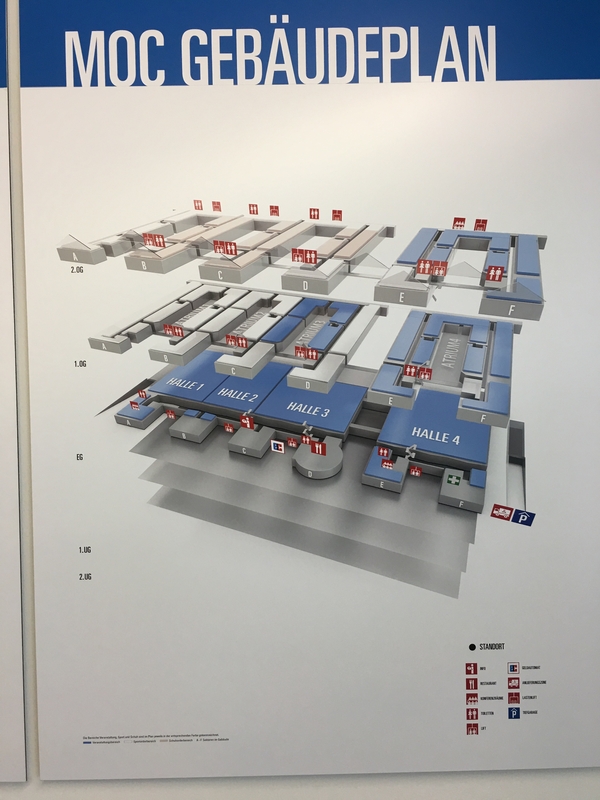 The scale of this show is awesome ... four commercial airliner hanger size halls with two more floors above them fullof dem rooms and displays. The trade days are when all the distribution deals are done and it is a knife in the back feeding frenzy for people in the game. When the doors open to the public on the weekend people come from all over Europe and it is invariably packed. 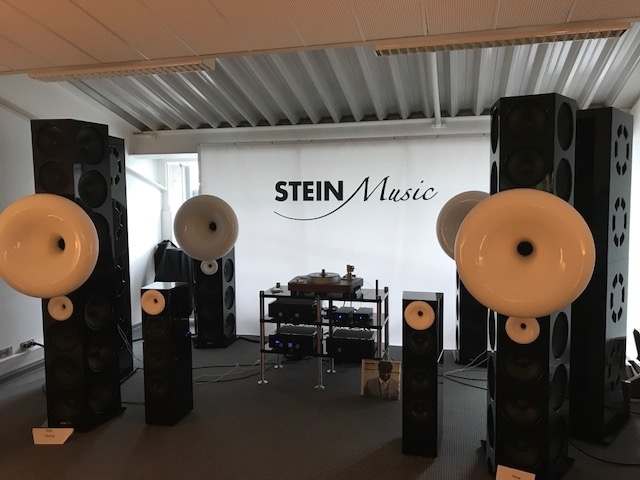 A.J.Vand Den Hul is one of the creative bedrock personalities of the music reproduction industry. 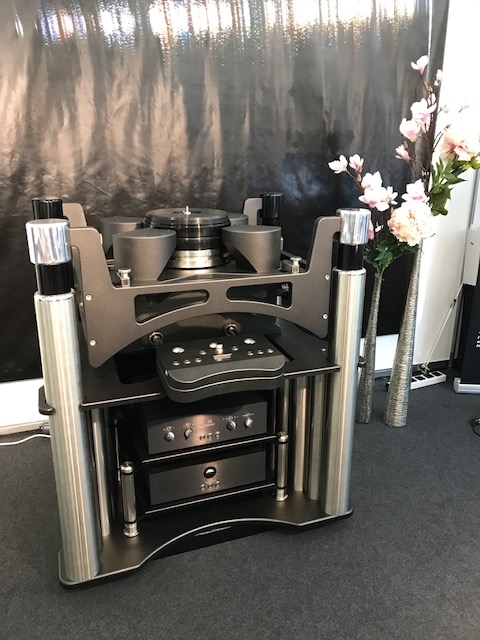 We recently had that most particular privelige of him coming to Carlton Audio Visual and building a cartridge from scratch for us. 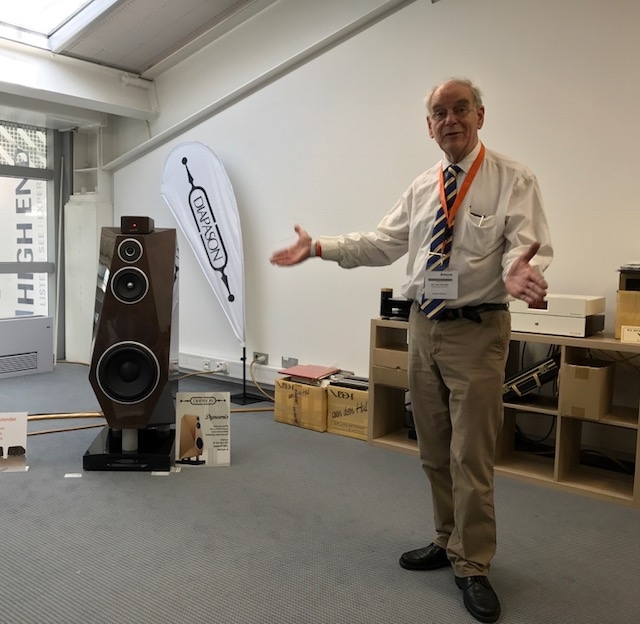 Here he is at Munich Hi End holding court to his followers. 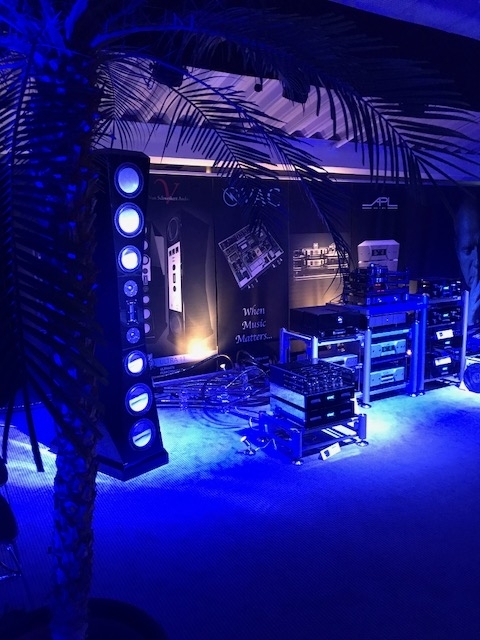 The VAC room in blue light with Palm trees. Popsicles ... or a forest of horns??. 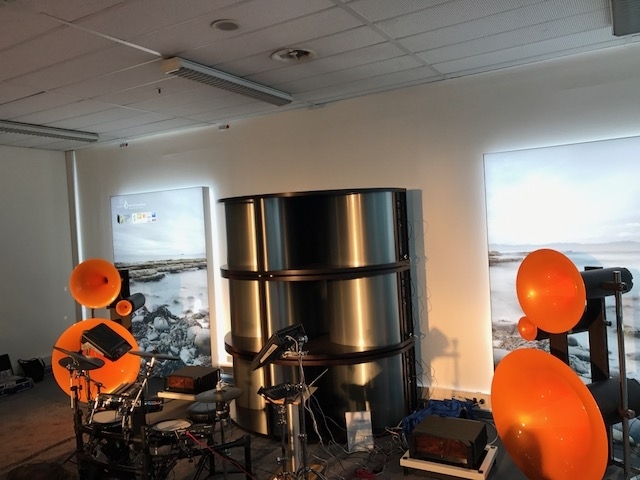 A pair of horns that were particularly warm sounding and very and detailed as well. 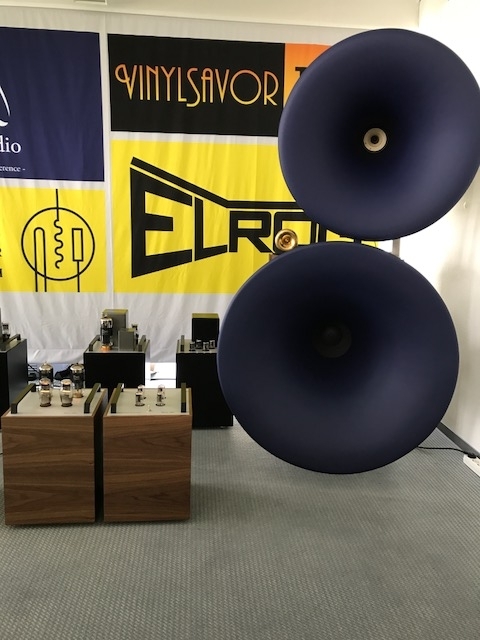 These are the Gran Sphera horns from Azzolina Audio hooked up to showcase soome new Elrog tubes. Looovvveelly. 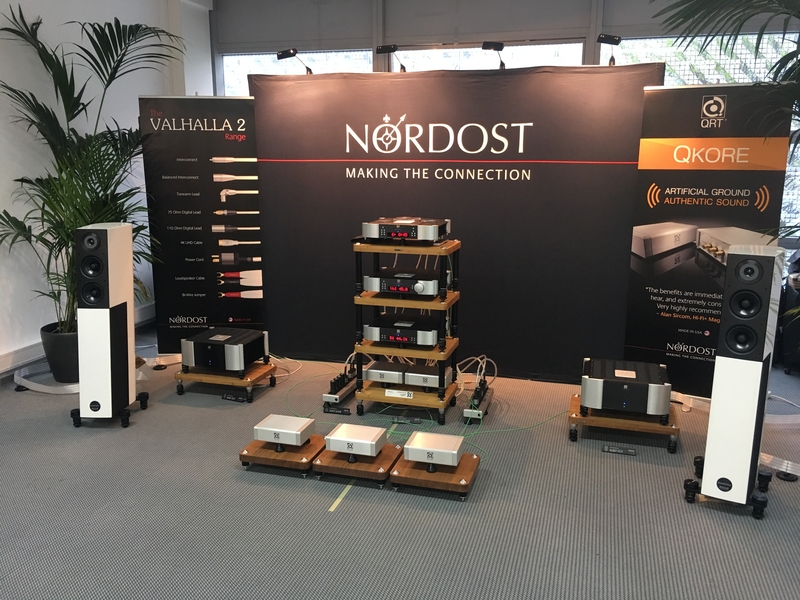 Nordost always have a simply excellent and informative display. 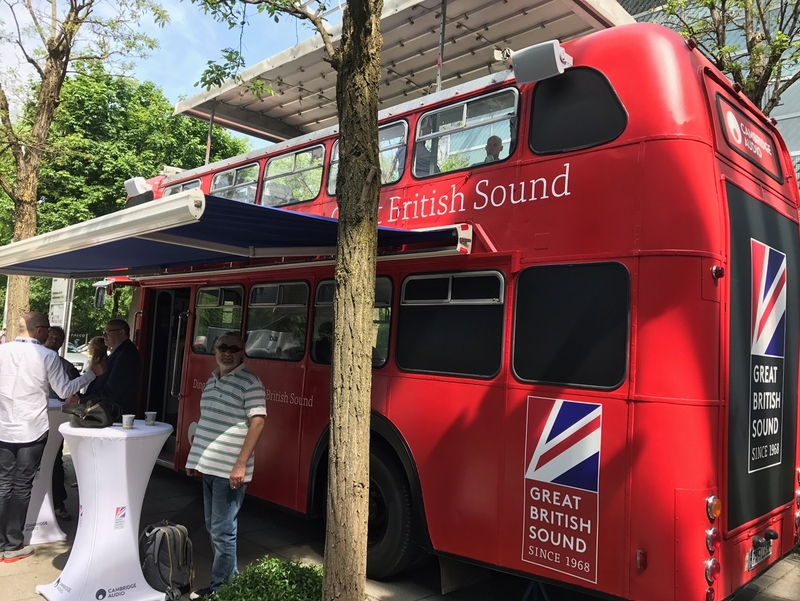 They were very big on the importance of grounding this year. They are the industry standard for engineering of quality cables and accessories. 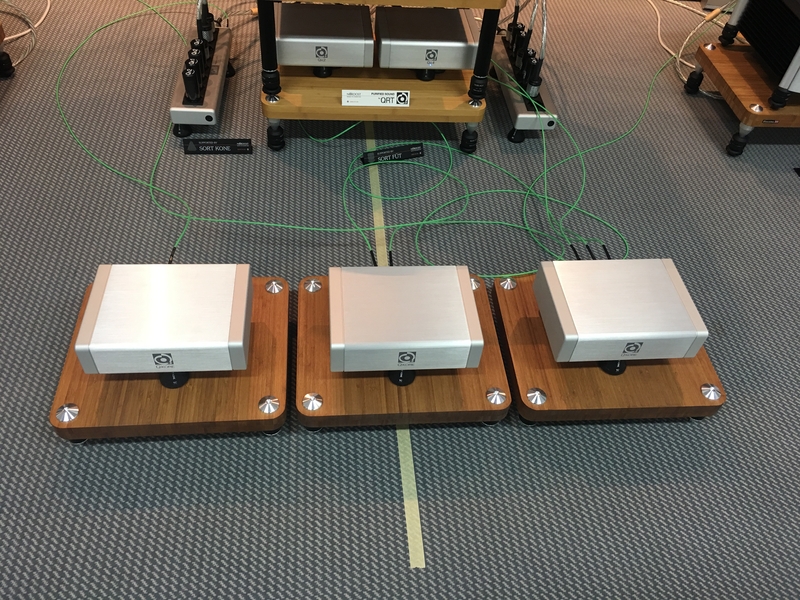 These are the QKORE Grounding Isolation units that provide for artificial passive electronic and mechanical grounding for Hi Fi components. 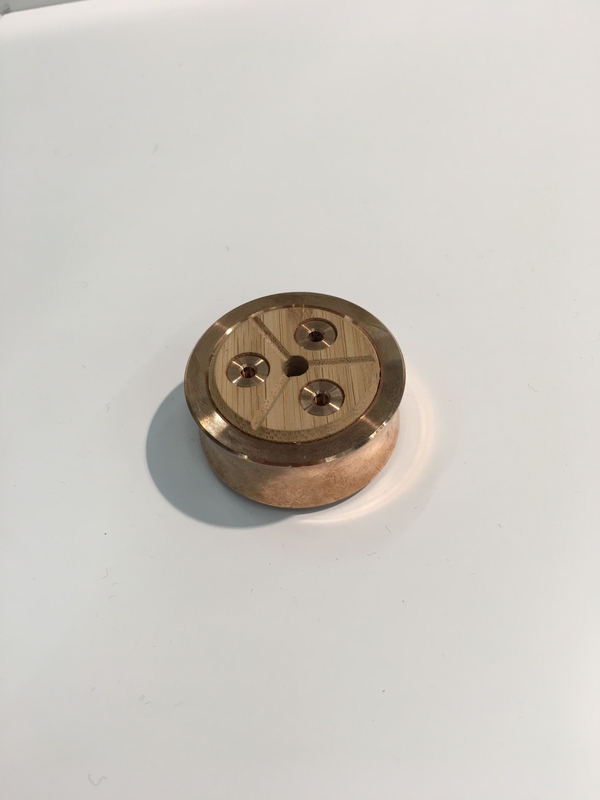 Small thing of acoustic isolation beauty. 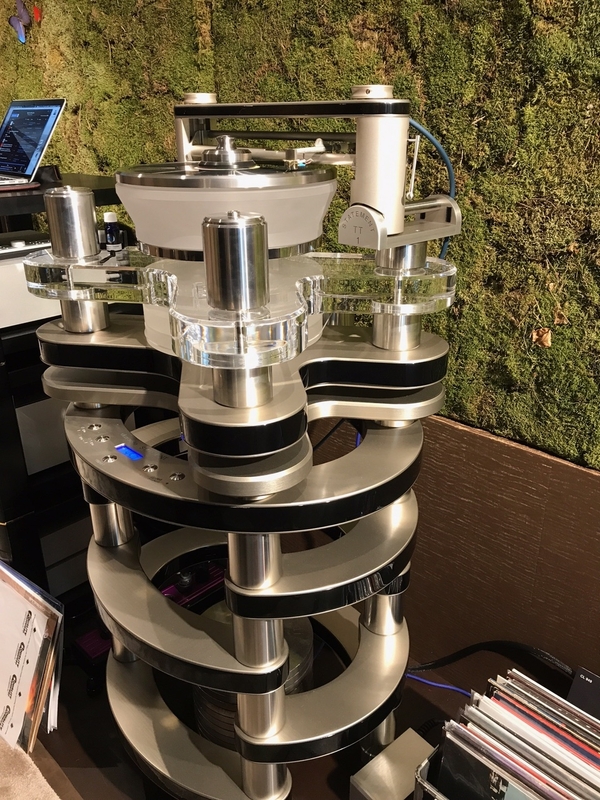 Dietrich Brakemeir's Apolyt turntable is one of the finest and probably the most expensive LP reproduction device made to date. 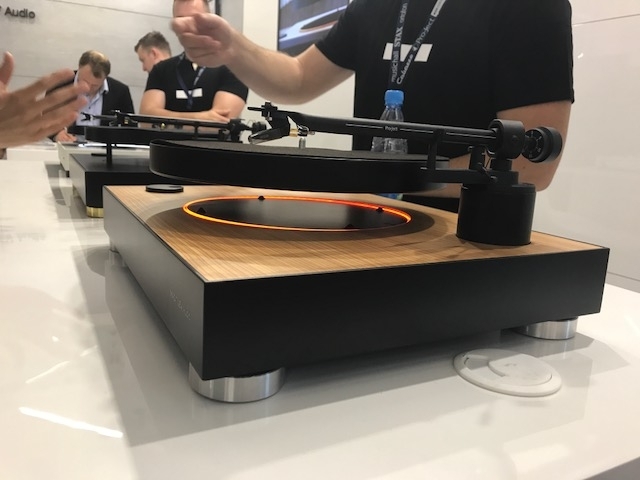 Apparently you can cut the cord to this machine and a week later the platter will only have lost 5% of its momentum!. 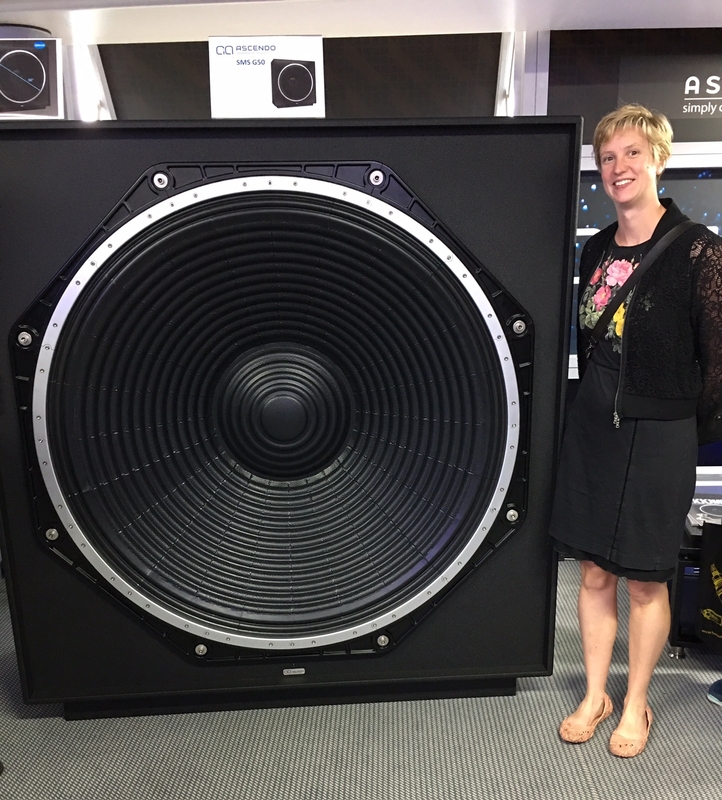 Reidun with The Ascendo Subwoofer ... she is six feet tall so this is a truly massive device ... and utterly captivating ... want ... Back To The Future is today. 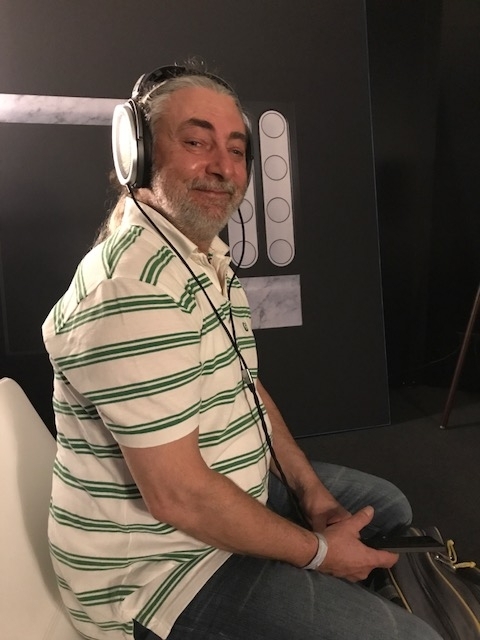 Paul trying out the Sennheiser HA1 headphones. 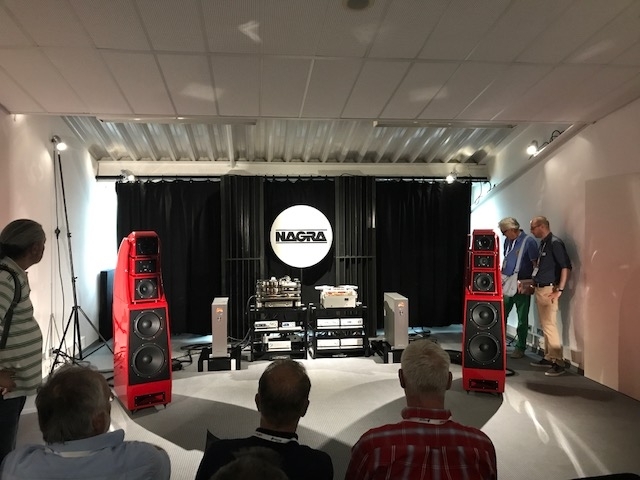 The new Orpheus. This is Paul's contented, happy place, face. 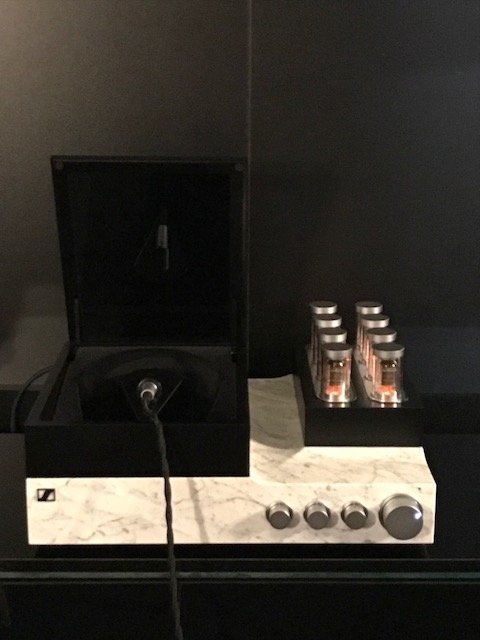 The headphone amplifier that makes up the secod half of the HA1 Headphones. The wall treatment of grass and flowers in the Kharma room is very special. 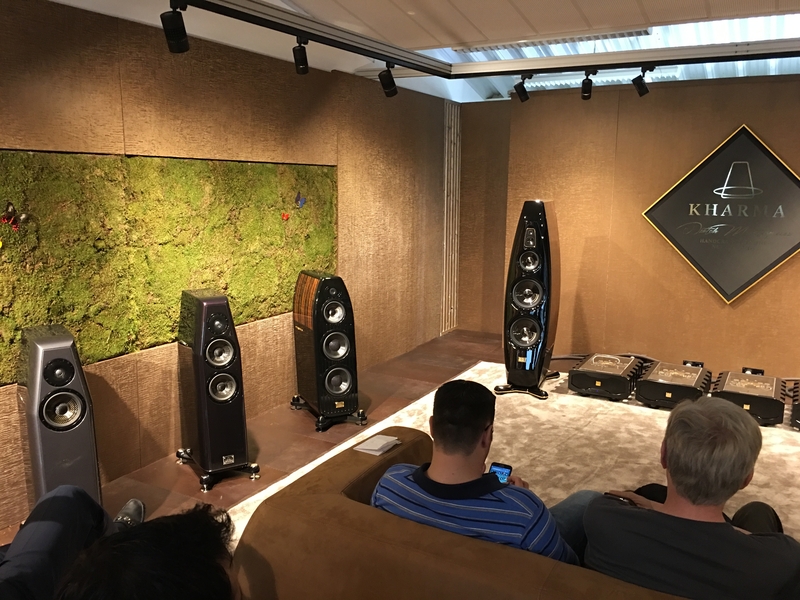 Those are humble Elegance 7's on the left that we have on dem in Carlton Audio Visual. 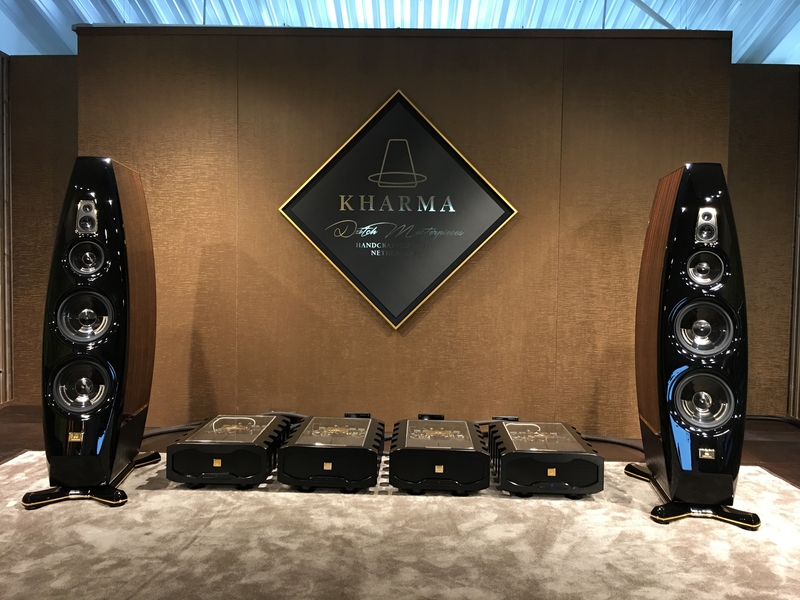 Kharma used a rather nice Clearaudio statement Turntable as a source. 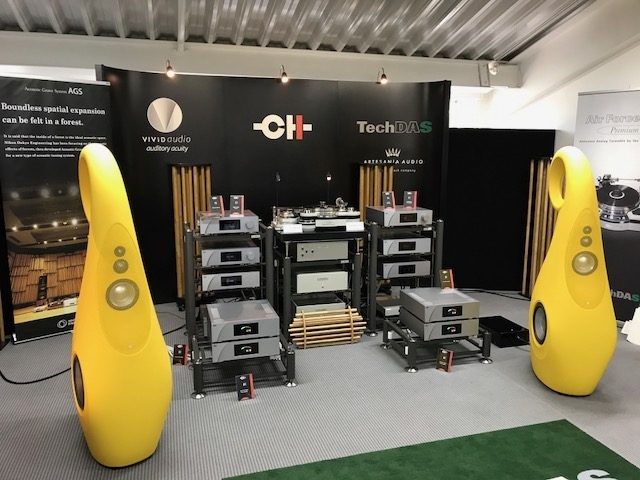 B1 and B2 sound a treat these days, these are the big boys in yellow from Vivid Audio , the G1 Spirits. 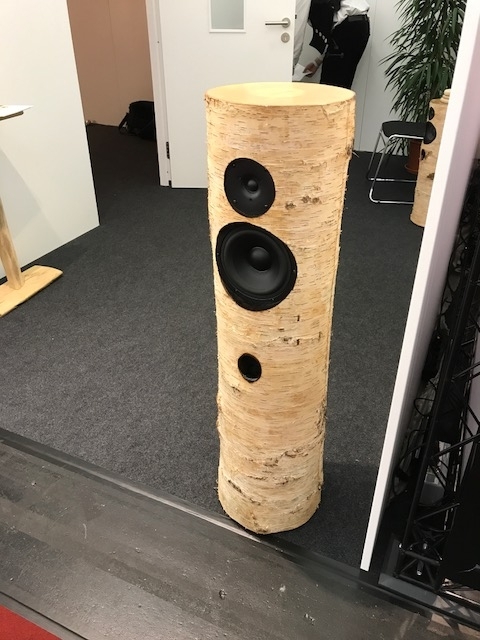 Were you looking for a speaker or something to hide in a Birch Forest? 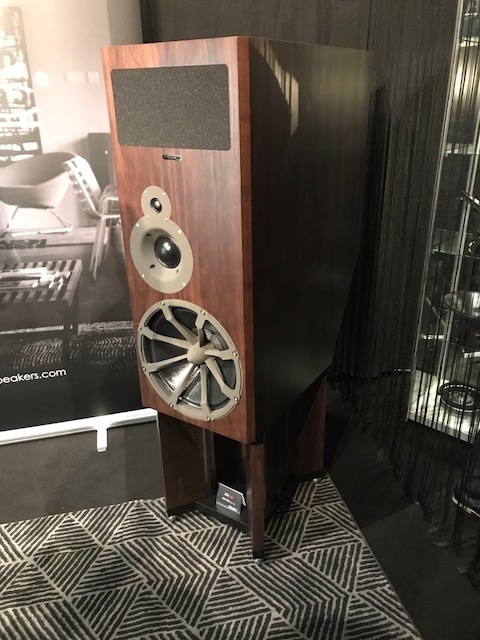 After the revolution, we will all have a pair of PMC BB5's in our living rooms.